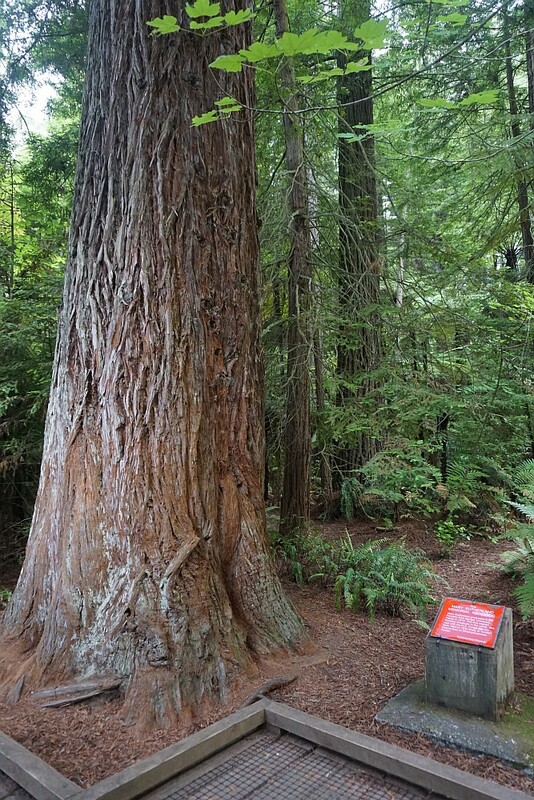 Information about the Redwoods, Whakarewarewa Forest, and the walking, horse riding, and mountain biking tracks open to the public is available on the official Redwoods web site. 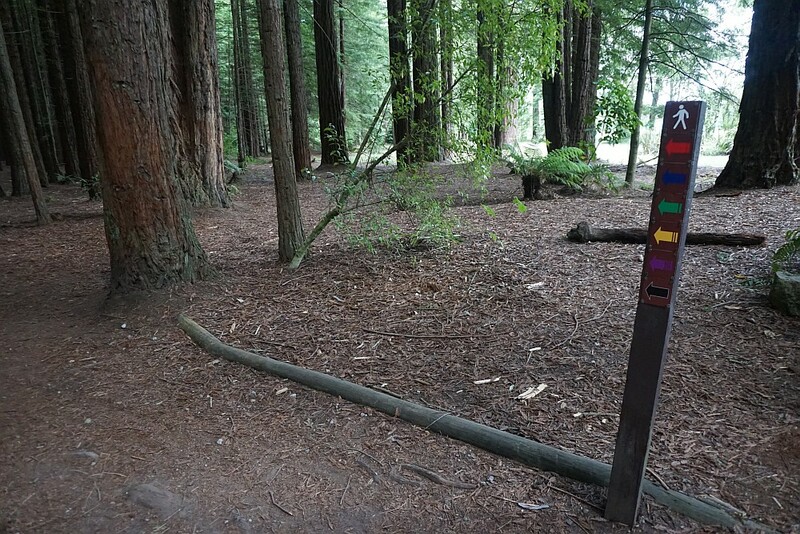 There are 6 marked walking tracks in the forest, with numerous other options available. Two are short, easy walks, 3 are extended walks with steps and inclines, and one is a longer tramping track of 34 kilometres, requiring good fitness and navigation skills. 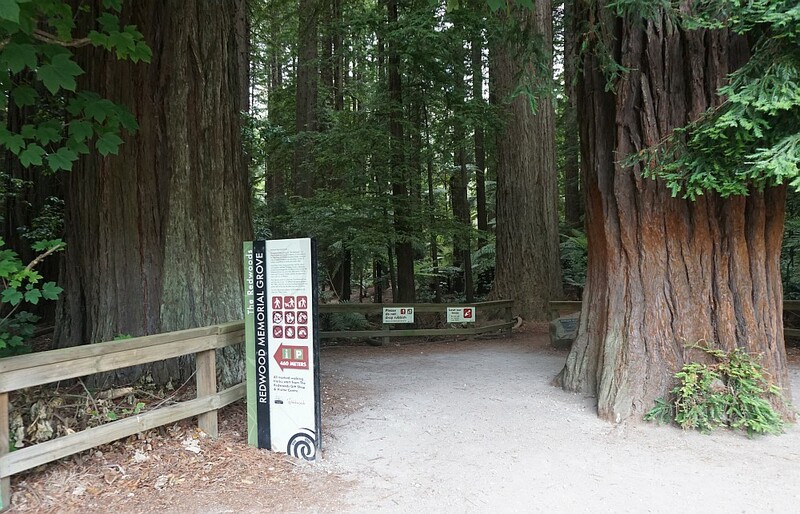 A map of the mountain biking and walking tracks, recommended for mountain bikers and those tackling the 34 km Whakarewarewa Track, can be purchased at the Redwoods information centre. 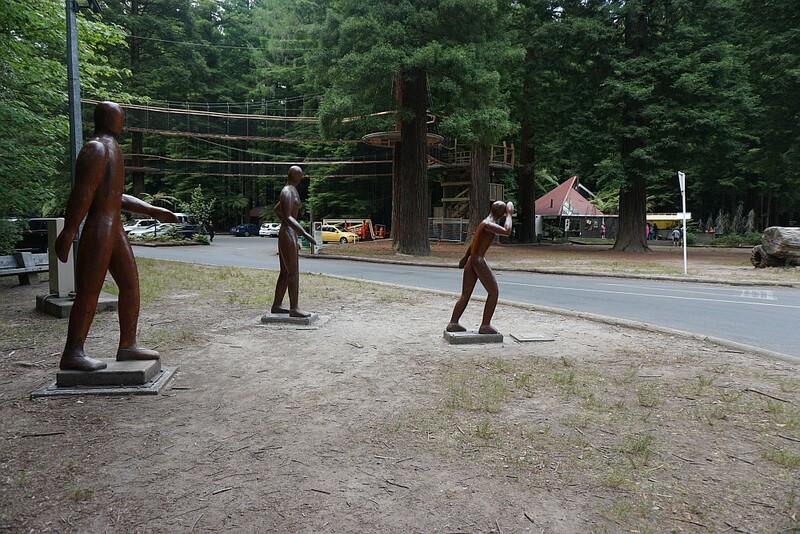 Wood sculptures at the entrance to the parking area and the Redwoods information centre on Long Mile Road. 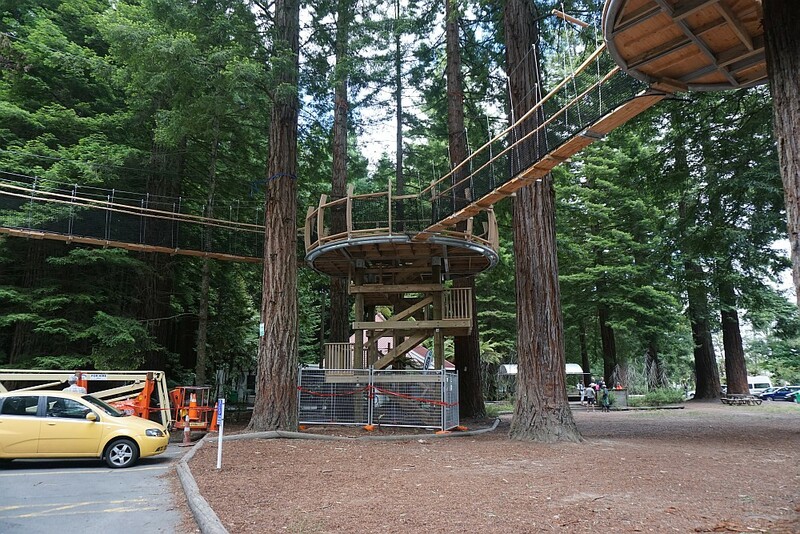 Part of the new tree walk can be seen in the trees. The access point for the new 550m long tree walk outside the information centre. Suspension bridges link platforms suspended in the trees up to 12m above the ground. The walk was due to open to the public shortly after this Pohaturoa walk was done. 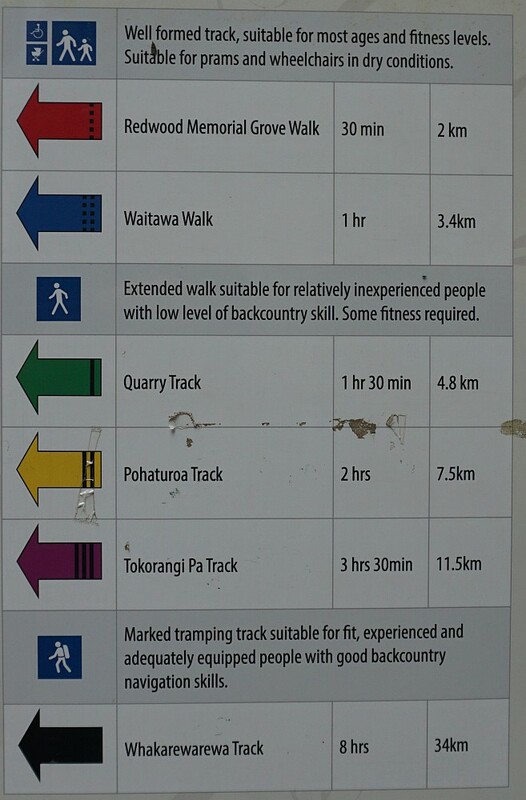 The 5 walking tracks are clearly marked with coloured arrows which even have embedded bar codes for those with partial or full colour vision deficiency. Not all the arrows out on the track have these barcodes, though. 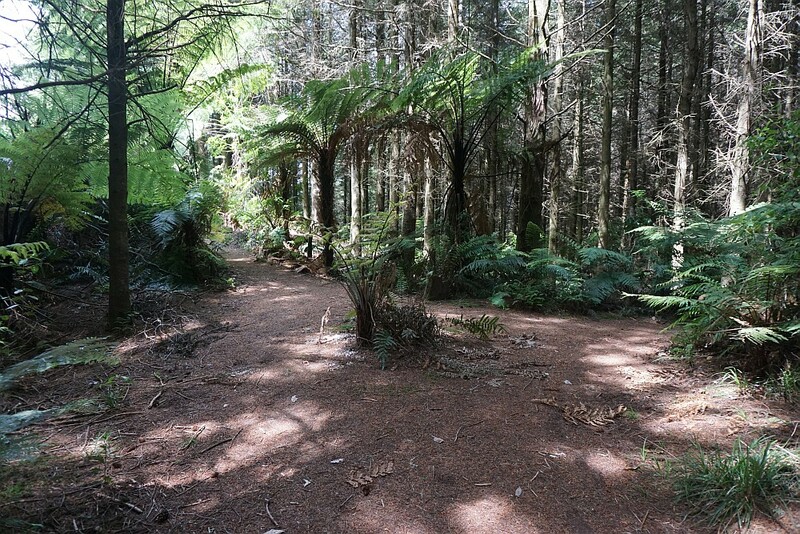 The first part of the Pohaturoa Track, through the redwoods, is shared with the 5 other walking tracks. The tracks are mostly wide and well formed, but can be muddy and slippery in places when wet. In the dry they can be walked in walking shoes. Boardwalks cross over streams and wet areas. 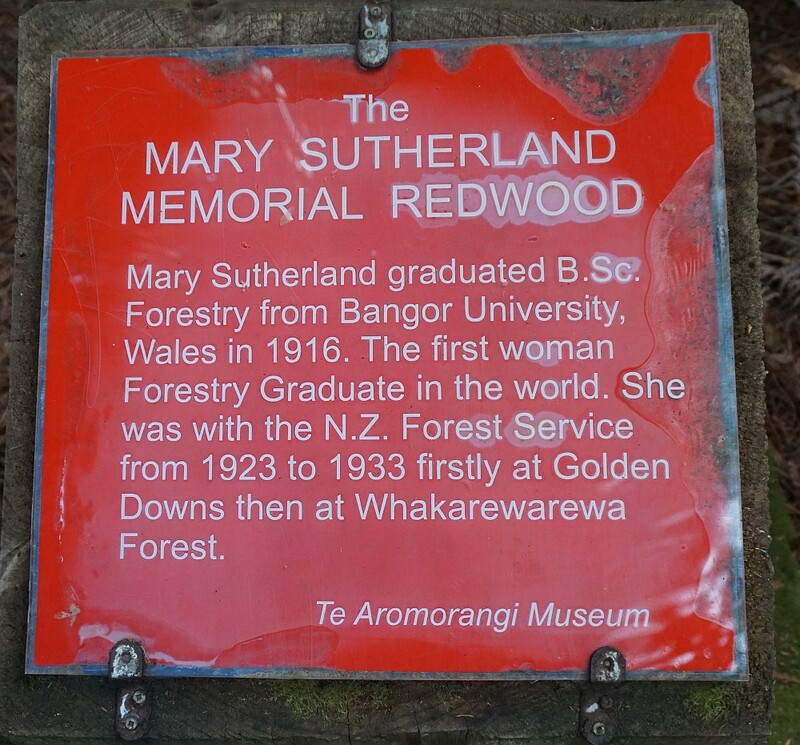 A fitting tree memorial to the first woman forestry graduate in the world, who worked at the Whakarewarewa Forest for some years. 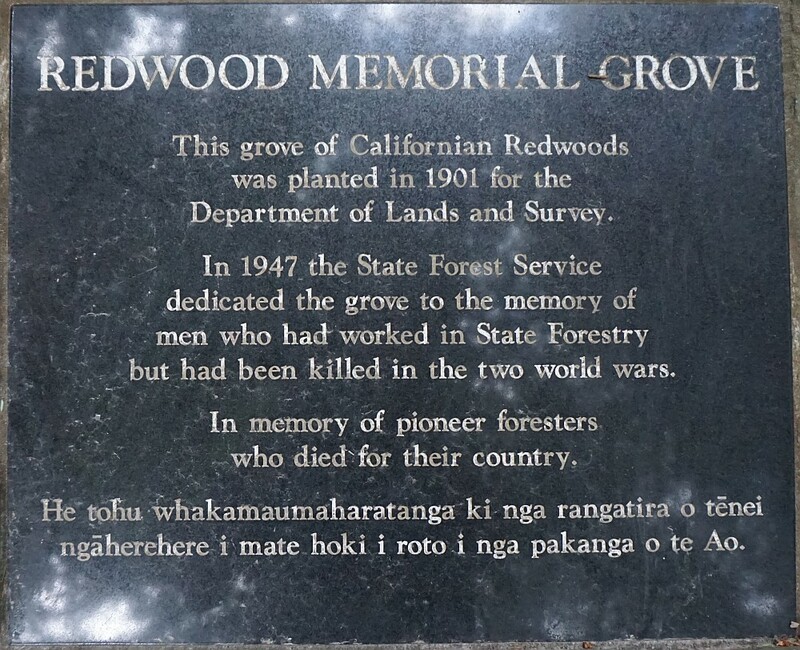 The redwood memorial grove, with the entrance where Pohaturoa Track exits from the forest and joins up with Nursery Road, is dedicated to forestry workers who had been killed in the two world wars. 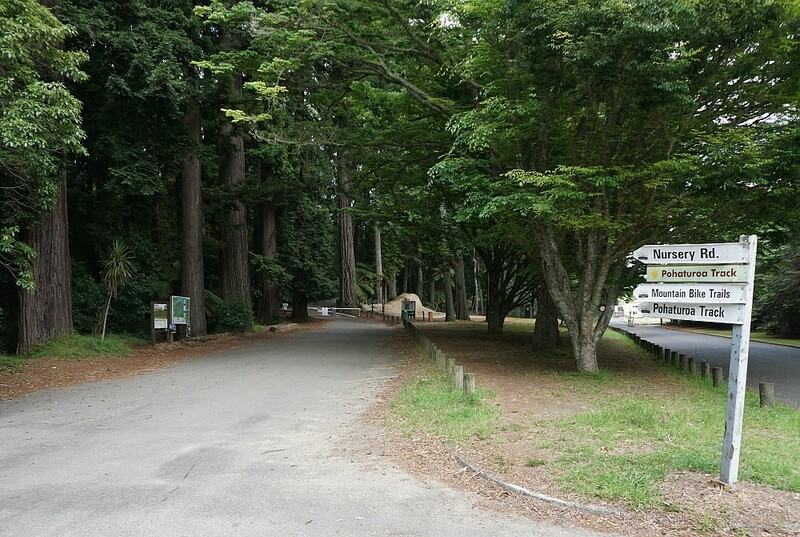 From the Redwood Memorial Grove the Pohaturoa Track continues past the white barrier up Nursery Road. The first part of Nursery Road is sealed, but is not open to vehicle traffic. A new special mountain biking track with jumps and bumps and obstacles is currently being constructed alongside Nursery Rd. 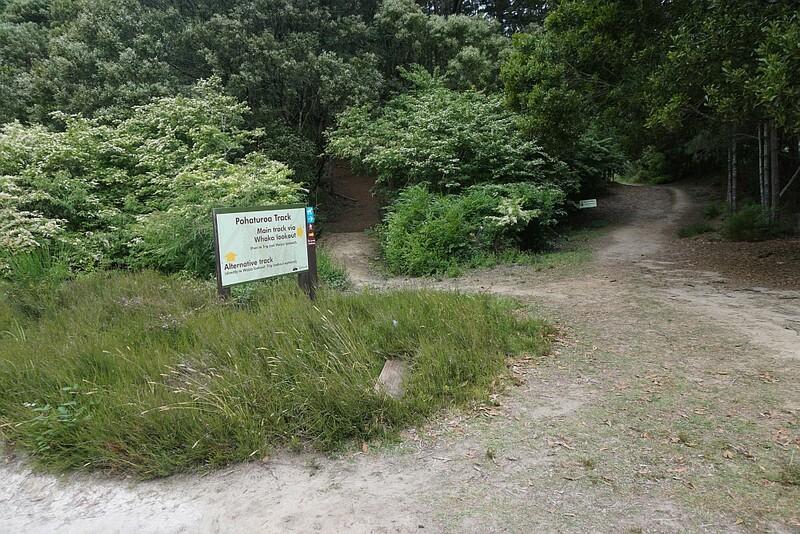 Various mountain biking and running competitions are held in the Whakarewarewa Forest. The Pohaturoa Track branches off along Radio Hut Rd. The return track joins up with the outward track at this point. 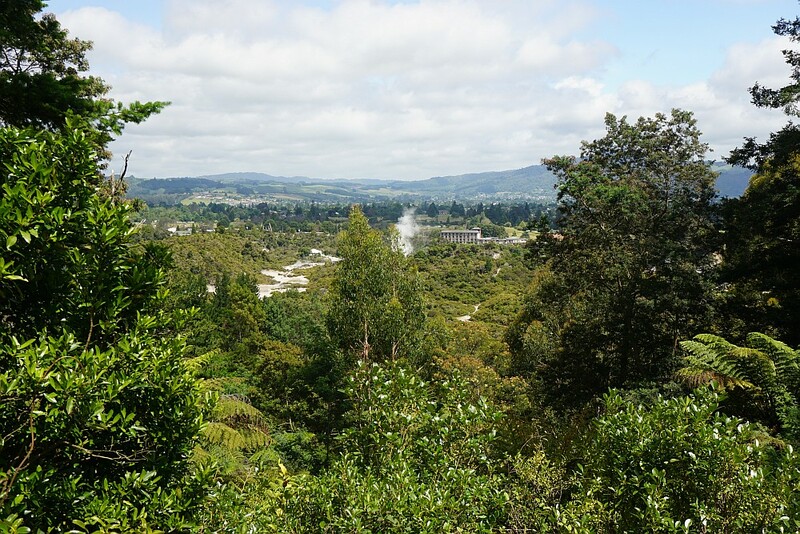 Occasional views to Rotorua and beyond can be found along Radio Hut Rd. 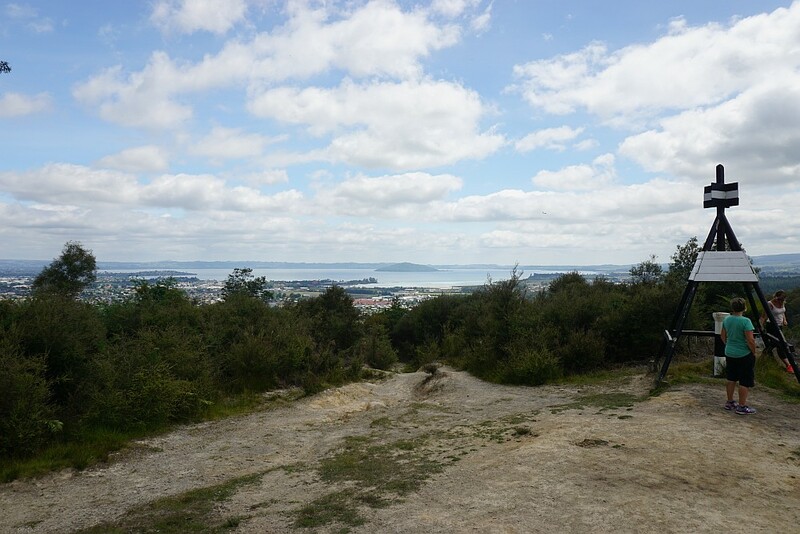 The track branches off to the right to the Whaka Lookouts (lower and upper) and the trig lookout. It’s not entirely obvious from the signage which of the other two tracks on either side of the sign (far left and centre) is the alternative track. 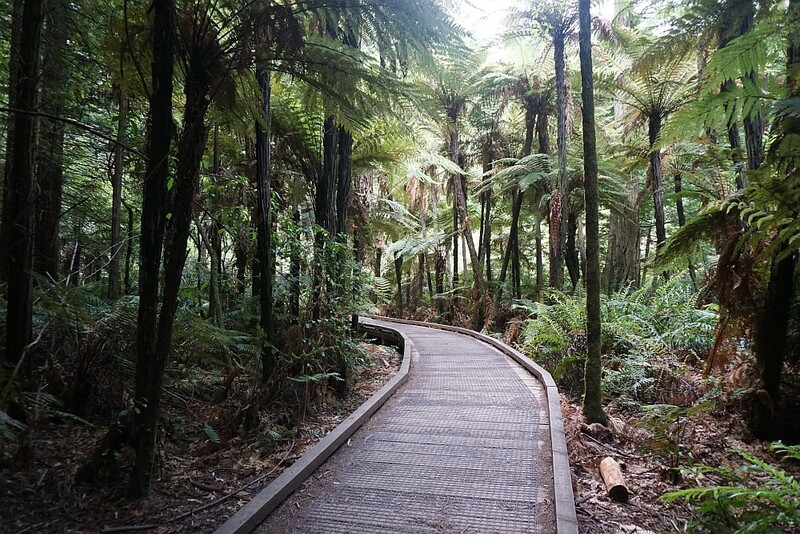 Only the far right track to the Whaka Lookout was taken on this walk. 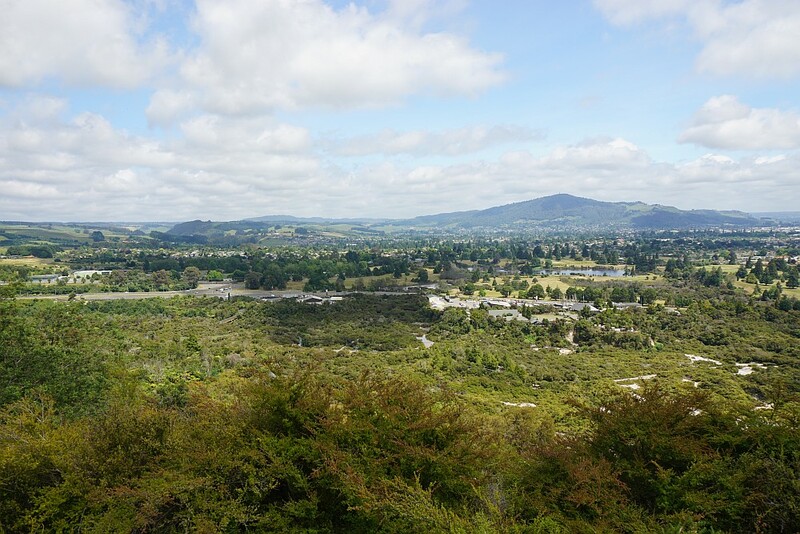 The lower Whaka Lookout on the right. 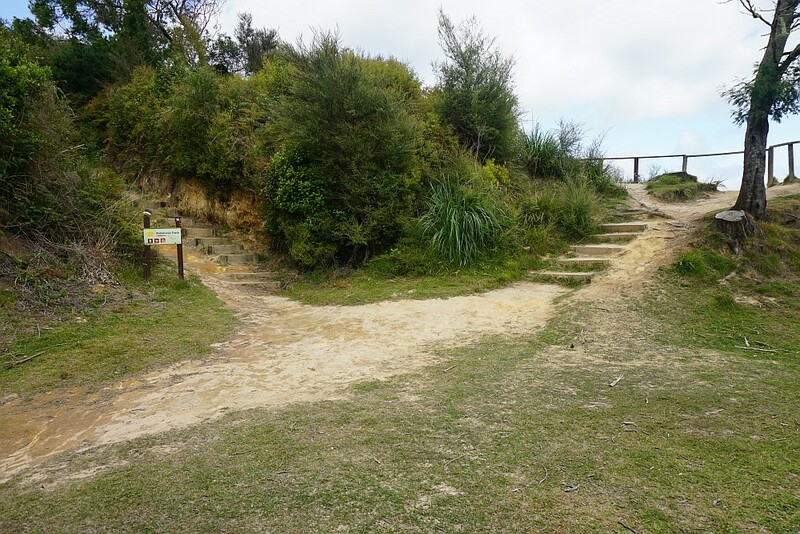 The Pohaturoa Track continues up the steps to the left, to the upper lookout and the trig lookout. 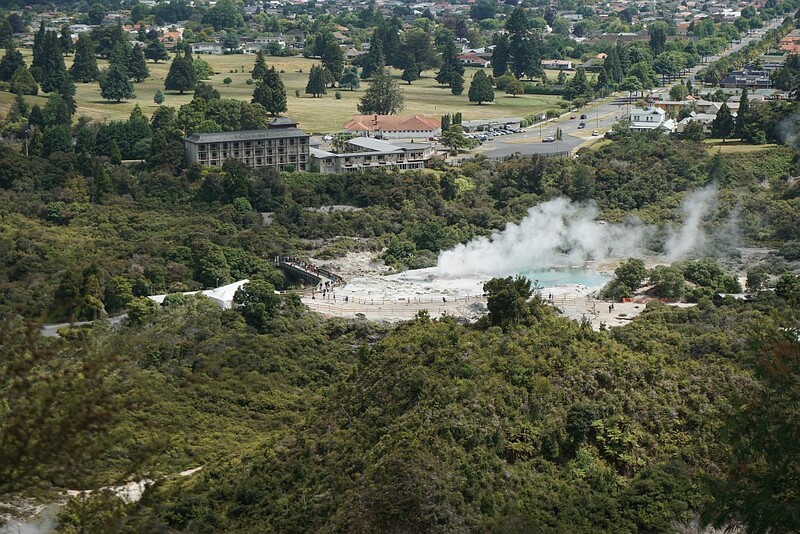 View from the lower lookout with the Whakarewarewa Thermal Area in the foreground, Mt Ngongotaha on the far left, Rotorua in the middle distance, and Lake Rotorua with Mokoia Island in the distance. Visitors to the thermal area waiting for Pohutu Geyser to spring. The upper lookout is only a short distance from the lower lookout, but has more extensive views to the west and south-west. The trig station, at 428 m above sea level, with the view to Lake Rotorua. 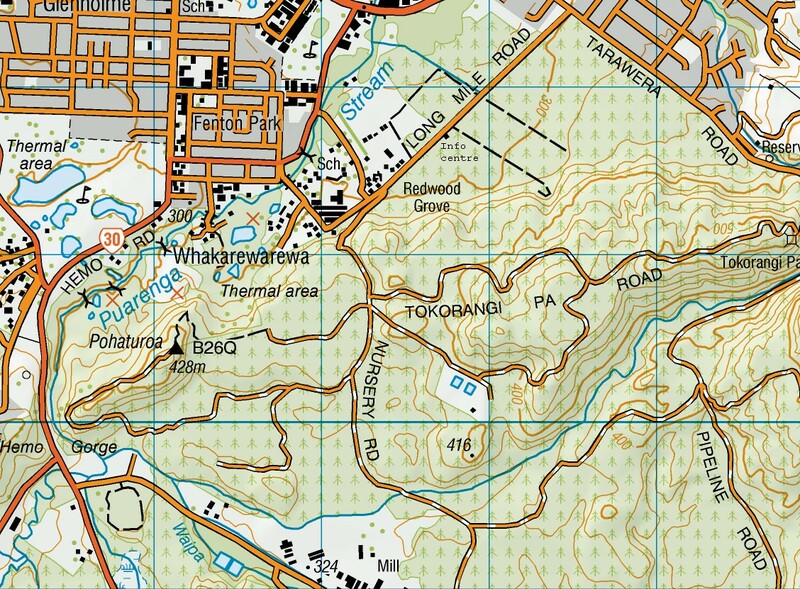 Shortly after the trig lookout a loop track leaves the main track for the Waipa Lookout. This short loop track is not so well marked. The lookout is a few metres along the track to the left. The track to the right completes the loop by joining up with the main track again. 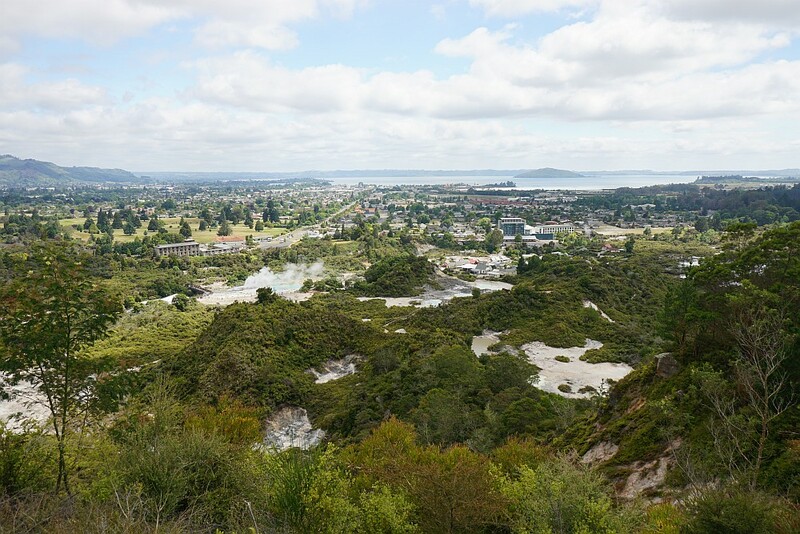 View from the Waipa Lookout towards the sawmill and further south towards Taupo. 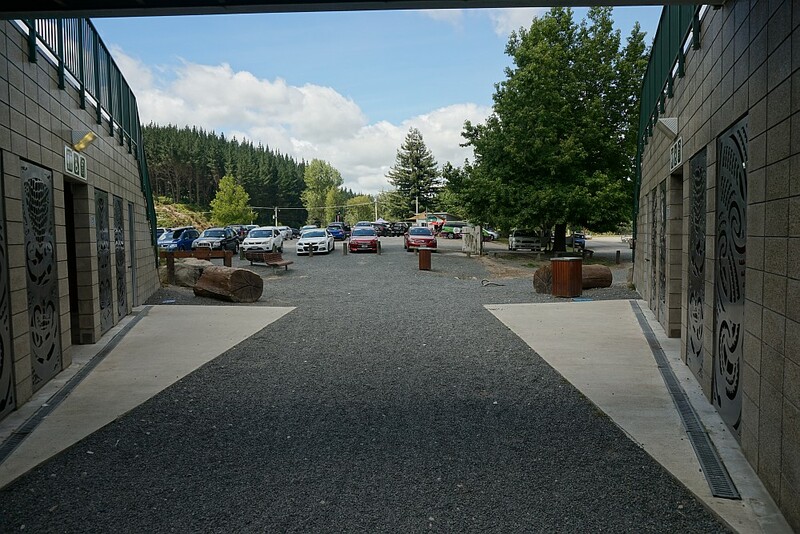 At the Waipa State Mill Road carpark, with the entrance to the mountain bike tracks, and the toilet and shower facilities. 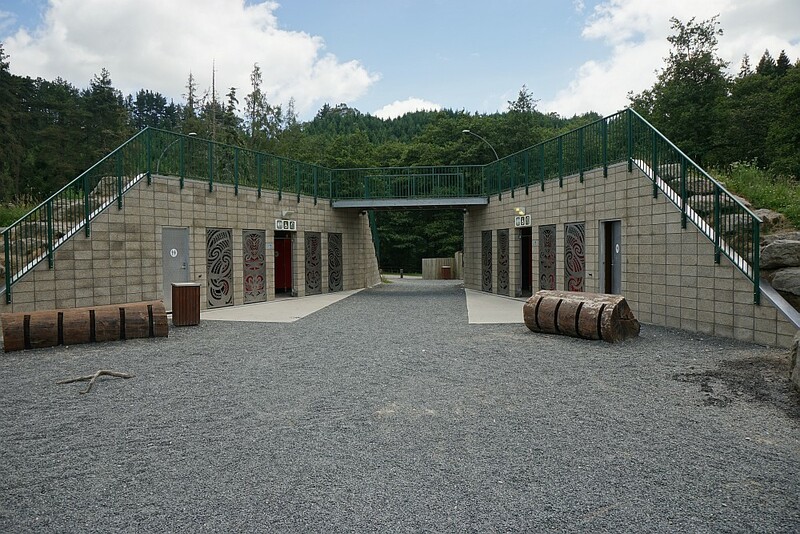 Entrance to the mountain bike tracks. 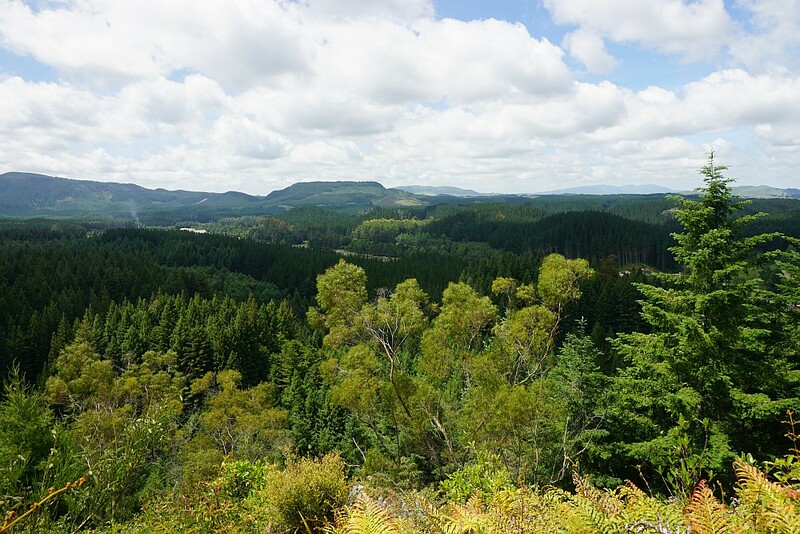 The Pohaturoa Track is also accessible here, as is a shorter walk to the trig, Whaka and Waipa lookouts. 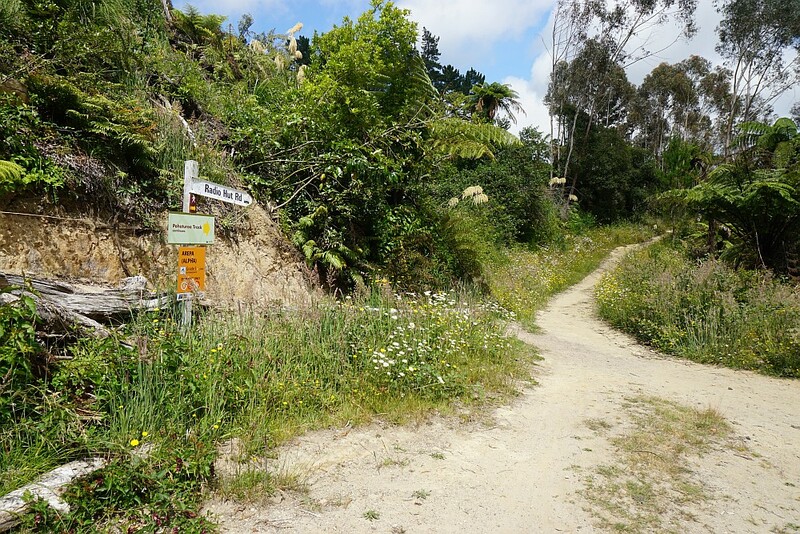 Most of the Pohaturoa Track consists of a large loop, walked in an anti-clockwise direction. 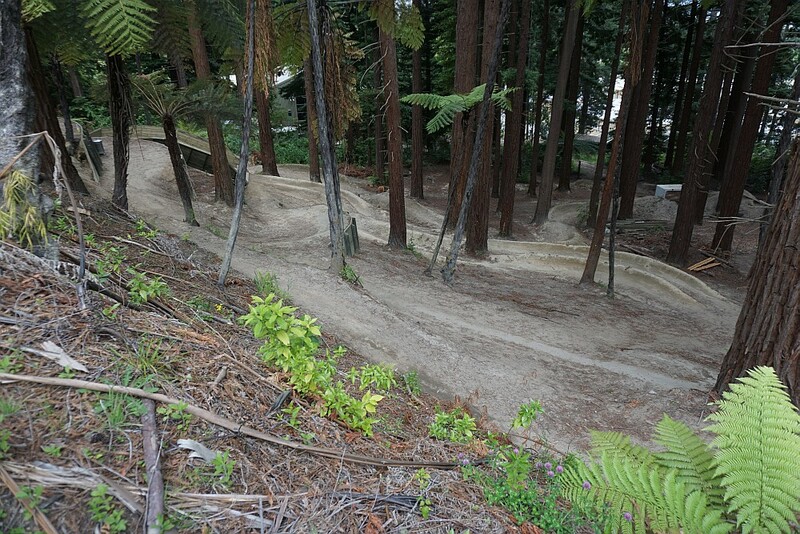 Here, shortly after continuing from the Waipa entrance, the walking track leaves the mountain bike tracks, continuing up the steps to the right. Bakers Hollow, a small clearing along the track. 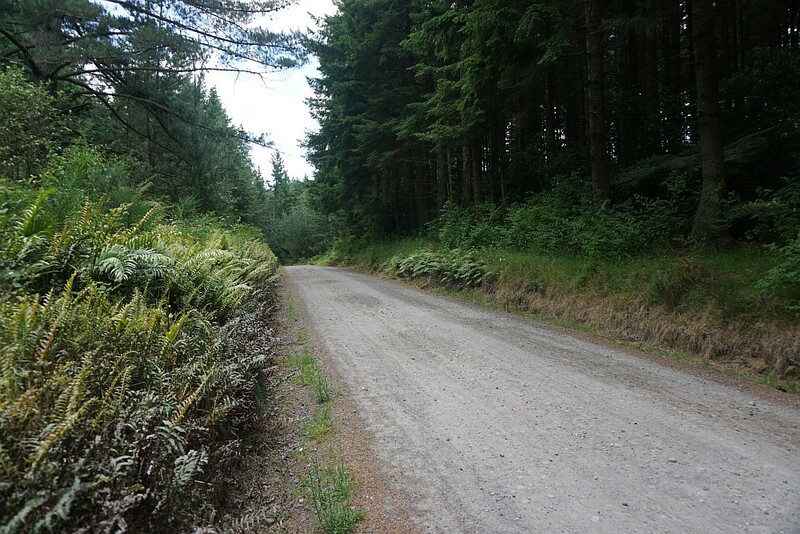 The Pohaturoa Track continues up Nursery Road, joining up with both ends of Radio Hut Rd on the way back to the redwoods. 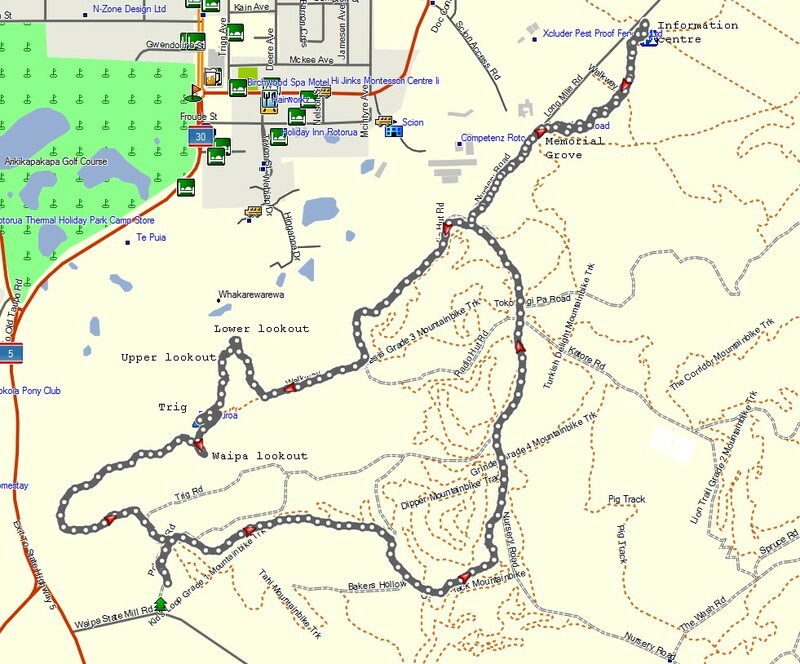 The GPS tracklog shows the path taken, with some of the features along the way. 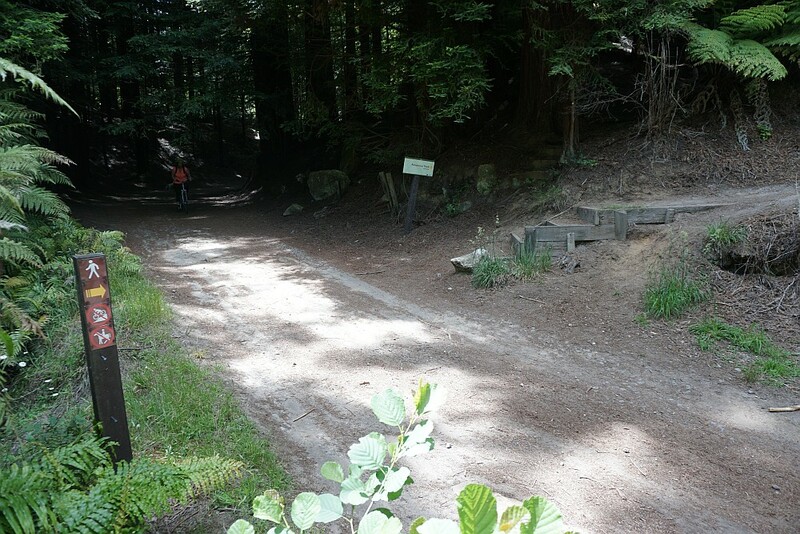 The Redwoods information centre is at the top right of the track log, and the Waipa State Mill Rd entry at the lower left. The 4 lookouts are marked. 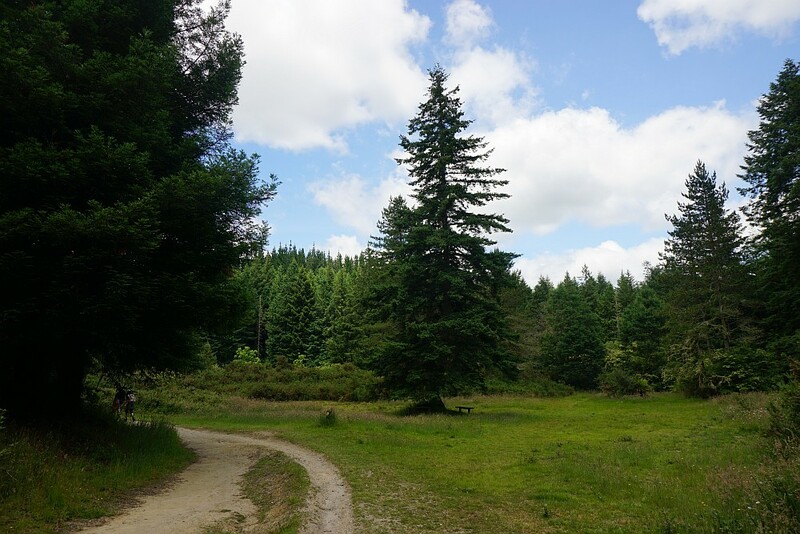 The altitude of the track varies from about 320m at both the Redwoods and the Waipa ends, to the 428m summit of Pohaturoa. The loop part of the track is walked in an anti-clockwise direction. The terrain can be seen on the topographic map. 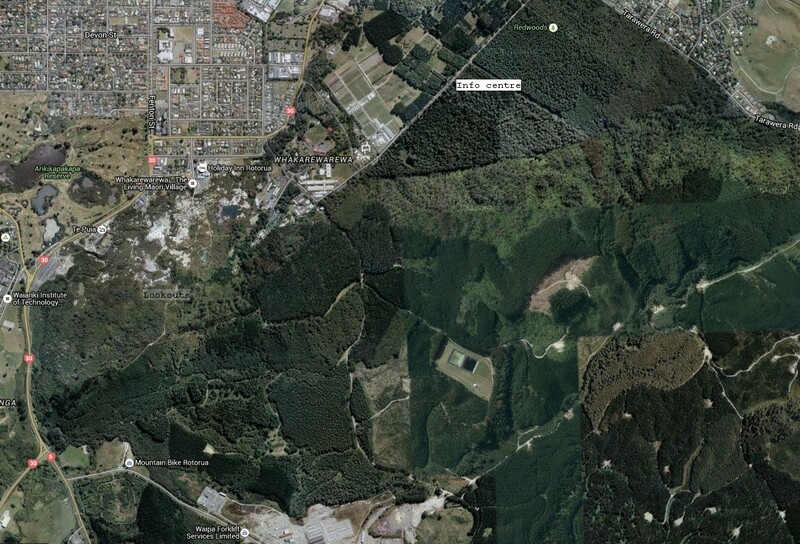 And some of the forestry plantings can be seen in the Google satellite image. Some of the forest alongside Nursery Rd and Radio Hut Rd has been felled since this images was recorded. 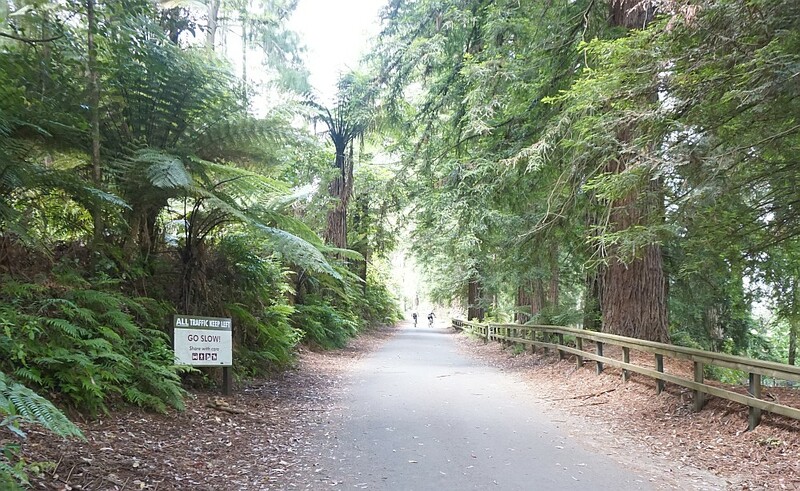 The distance walked from the Redwoods information centre to Waipa State Mill Rd parking area, including time at the lookouts, was about 4.7 km, for a time of 1 hour 15 minutes. The return leg had a distance of about 4.2 km, and took just under 1 hour. The track was walked on December 20, 2015.